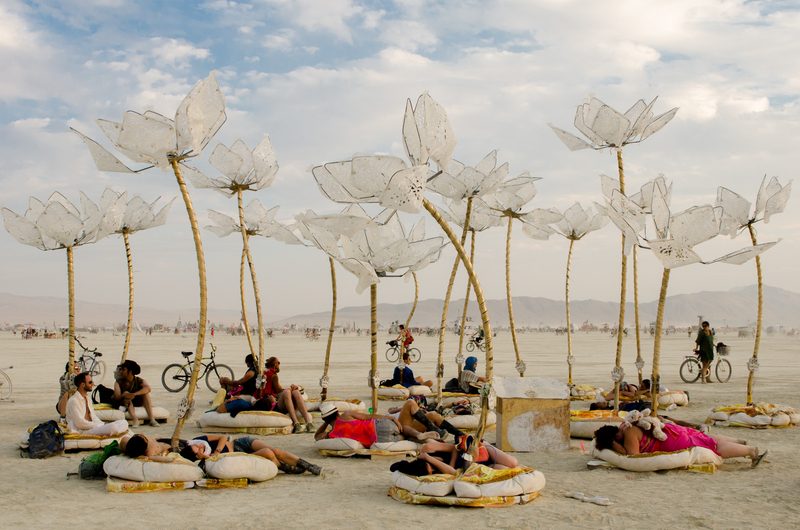 So well-written and beautifully captured – have loved following your experience at Burning Man! I am so sad I couldn’t be there with you and at the same time overjoyed you had this life experience. The text and photos are sensational. Such gorgeous photography! Not sure I’d ever understood what it felt like to be there before and you’ve captured it beautifully. Thanks Jess! It’s hard to put the experience into words – it really is just so magical and surreal and unbelievable. I get a bit upset when I mainstream media refer to it is a big party, or a music festival or a gathering of hippies. Either their journos didn’t go or they didn’t really get what it was all about! Hope you get a chance to go one day – it honestly is such a transformative life-changing event. So incredible. I have always wanted to go to BM since I first learned about it, but this just makes me want to go even more now. Thanks for sharing your amazing experience. Wow, I want to experience this. Incredible article Sarah, loved every word and every pixel.